Not all organisations can – or, indeed should – make a profit, and much of the most important work in the community is done by those that don’t. That’s why we have pledged to give a share of our profits to mainly local, non-profit organisations, including charities. But we aim to foster wider co-operation and understanding between these very different sectors of the community, too. To help facilitate it, David Rapley travelled to India and attended the Leaders’ Quest programme, a social enterprise committed to being a catalyst for positive change by engaging, developing and inspiring leaders from all sectors of society who want to make a difference.It’s a principle that is core to our values; establishing a bridge between profit and non-profit organisations to discover new ways for each to benefit the other. Since our formation we have supported a range of local and national charities. 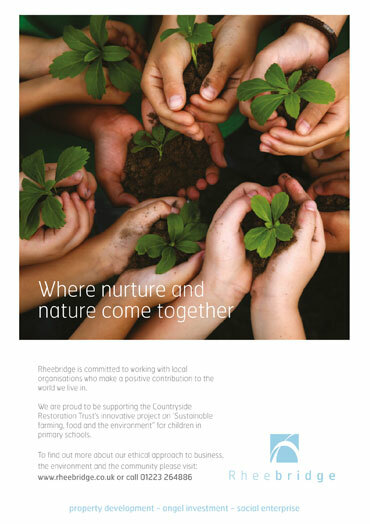 These projects range from becoming the main sponsor for the Rheebridge Open Art Exhibition, one of Cambridge’s major art exhibitions through to working with Countryside Restoration Trust funding educational programmes and through the creation of a new countryside centre on the charity’s site in Barton, Cambridge. In 2016 David Rapley was appointed as a Trustee at the Cambridge Arts Theatre. 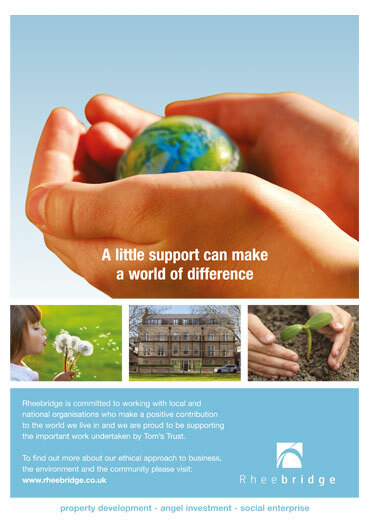 We are proud to support activities and worthwhile causes in the Cambridge area and beyond. Please click on the links to find out more.